Gymnast Fix is an online injury prevention and performance program designed specifically for competitive gymnasts. Don't leave your performance in the hands of someone else. With Gymnast Fix you have complete control over your own care. Gymnast Fix is 100% online, allowing you to work around your schedule without being confined to meeting appointment times. You don't have to live with pain in order to be an elite athlete. Injuries happen, but they can be minimized (and often prevented) with the correct performance program. Dr. Sloan's proven system of MEDS will empower you to reach your greatest potential. To be a doctor is "to teach," and Dr. Sloan holds that value at the core of her practice. 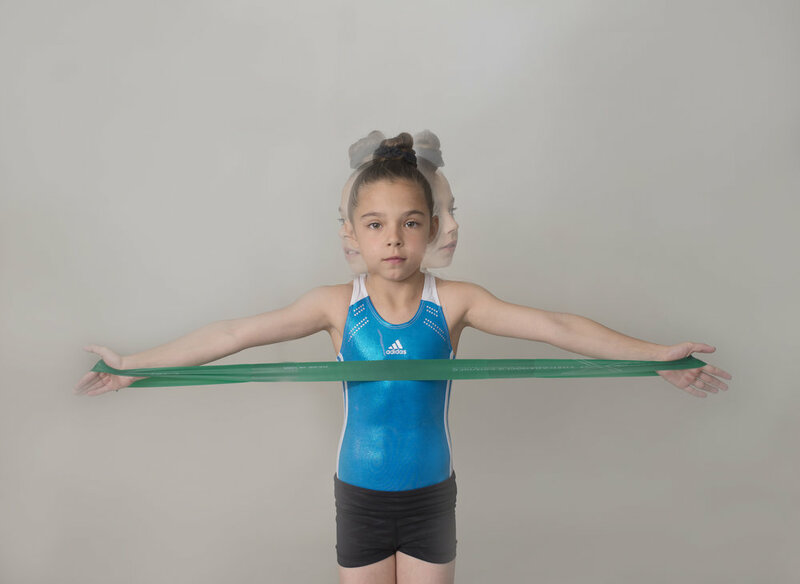 Gymnast Fix looks to arm gymnasts with the knowledge and skills they need in order to see longevity in their sport and to create a consistent practice of preventative care moving forward. I was a competitive gymnast for almost 20 years. Like so many other athletes, I dealt with discomfort and injuries by going to doctor after doctor. I heard many times to just quit gymnastics. You’ll understand - that wasn’t going to happen. So I pressed on, working through the pain, not knowing or caring what kind of damage I might be doing to my body. I iced, I stretched, I wrapped, I soaked. I thought I could just ignore the pain. But I was worried. How long could I really keep this up? i finally got real help. I finally met a Chiropractor who encouraged me to compete rather than quit. Through Chiropractic and manual therapy, I was able to maintain the physical condition I needed to keep doing gymnastics, including at the college level. AFTER YEARS OF HURTING, I WAS AMAZED TO LEARN I DIDN’T HAVE TO ANY MORE. I went on to get my Doctorate in Chiropractic and a Masters in Sports Science and Rehabilitation and become a Certified Chiropractic Sports Physician. Now, combining my love of gymnastics and with my clinical knowledge, I work with elite athletes who want to practice safely, execute routines cleanly, and compete at their absolute best. For too long we've believed that pain is unavoidable in the sport of gymnastics. We've been told that in order to reach elite competition we have to tolerate the pain and push through. That is simply not true. Those days are over. The fix is here. It's time to redefine elite. Gymnast Fix offers an at-home solution, fitting seamlessly into your lifestyle without having to work around in-person appointment times. With our program you take your care into your own hands, giving you complete control every step of the way. Gymnast Fix is an online self-guided course, but you'll receive a virtual screening session with Dr. Sloan both at the beginning and end of the course. Additionally, you'll receive weekly updates and check-in's to ensure you're making progress. Dr. Sloan utilizes her proven system of MEDS (mobility, exercises, drills and stretches) to deliver a program that's guaranteed to elevate your performance, increase your confidence both on and off the floor and to take preventative measures in ensuring your safety as an athlete.